Why you should choose Liquid Planet? 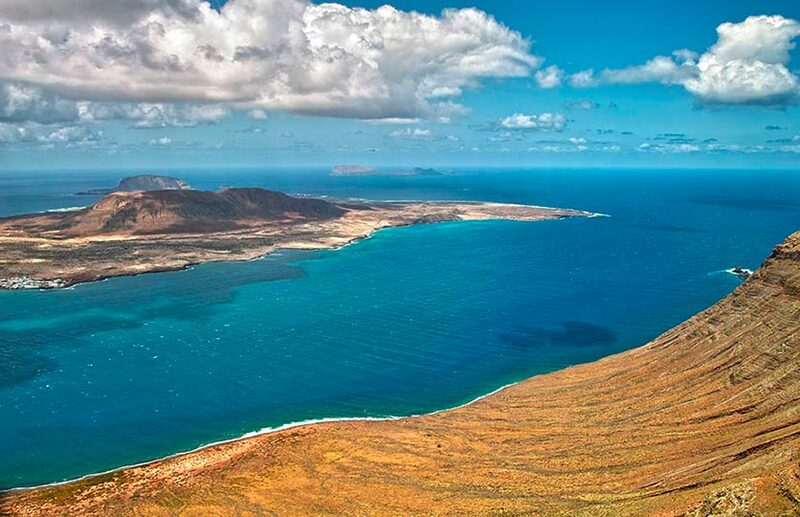 Following you will be able to appreciate a list of places to visit in Lanzarote. 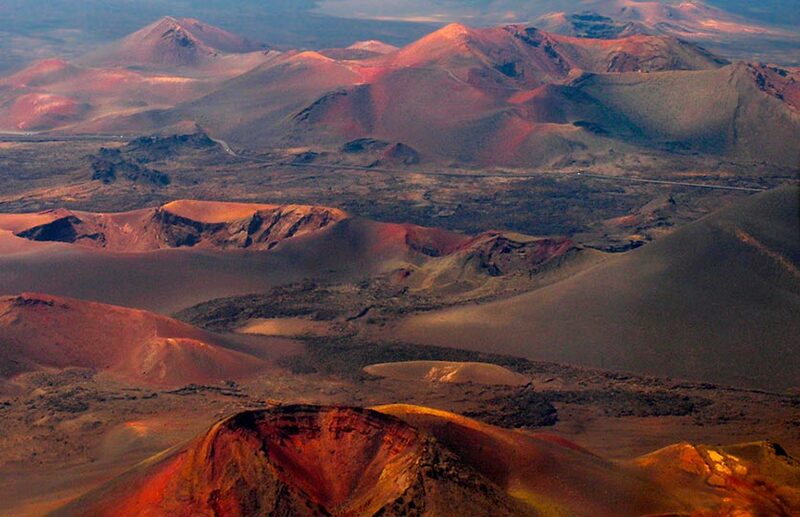 Timanfaya National Park is located in the Southwest corner of the island and its lava rivers and volcano conical formations can´t leave any visitor indifferent to the beauty of this peculiar landscape. We recommend early excursions or noon ones because you will find less visitors and you could enjoy better the beauty of this National Park. If you want more information you can go to the website of the National Park. 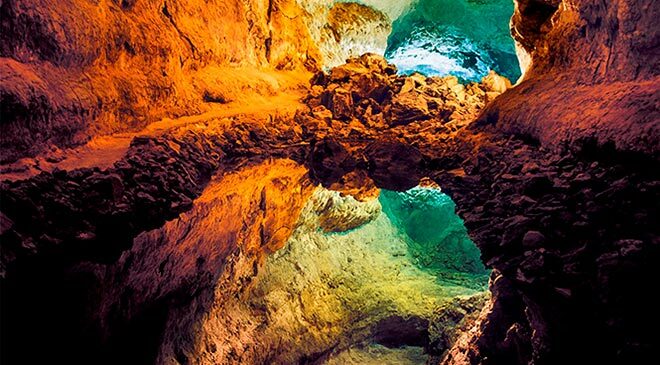 The Cueva de los Verdes and Jameos del Agua are part of a big lava tube that born in the volcano La Corona, and it’s one of the largest lava caves in the world and the longest underwater lava cave in the world. The Cueva de los Verdes is an adapted cave for all the publics, with illumination and walking paths. You can admire the lava formations and realize that one day in the past the cave was liquid and long tie after closer to our time, the cave was used by humans as shelter. In the actual time there are seismological studies in the cave, touristic activity and thanks to the amazing acoustic that the lava rock has, you can also listen some music concerts. “Jameo” is the local designation to the entrances of the cave in the Canary Islands, in other places like Yucatan they call it Cenote and in technical term is a Karstic window. The Jameos del Aguas are two big openings in the cave ceiling letting this way the light into the cavern area. 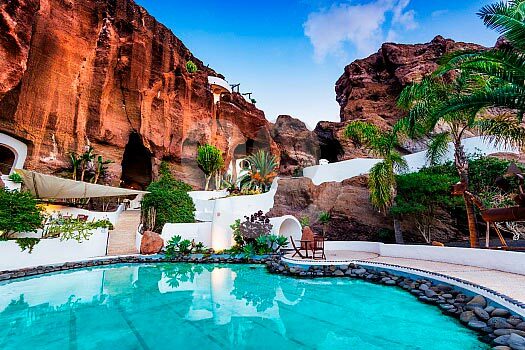 This place was adapted by Manrique and now is a beautiful place to visit and enjoy with the enormous cavern area, the healthy vegetation and the sun light effects, also it has a museum where you will find information about the Canary Islands formation and the world volcanic activity. 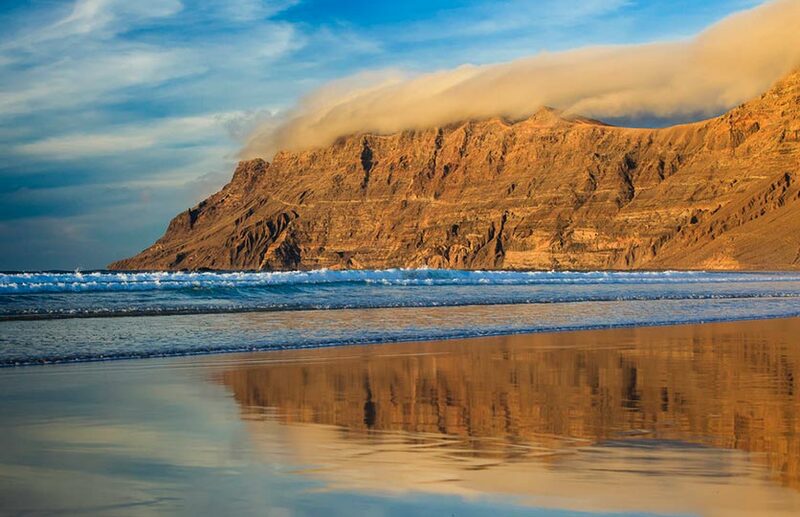 In this place lives a unique animal in the planet, is call “Jameito” thanks to the location is found and is like a little white lobster. It has been adapted to live in this cave, so that’s why the animal is white and blind. Do not forget to have a walk in the road near the cliff. We recommend to go in low tide so you can enjoy of a bigger area of sand and if you can match it with a sunset, it will be an incredible one. 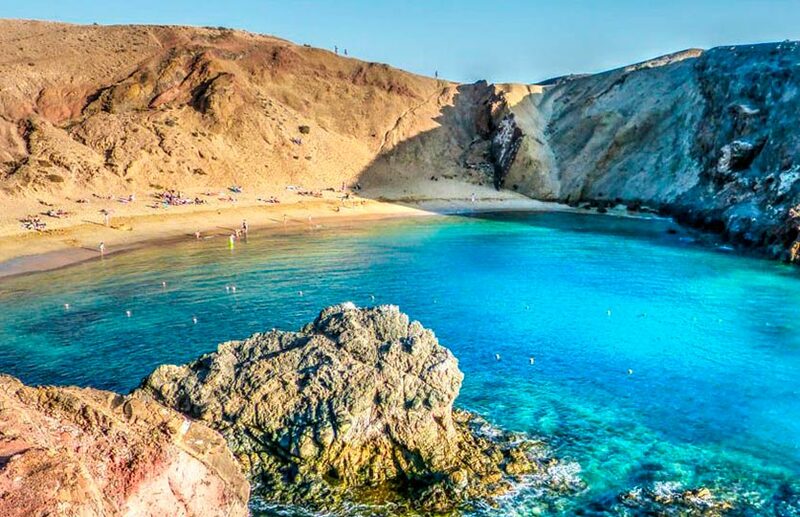 Papagayo beaches is a group of little coves located in the south area of the island. They are full of nice golden sand and counts most of the year with really calm clear water. Ideal to practice snorkel or lie in the sun to have a long rest. 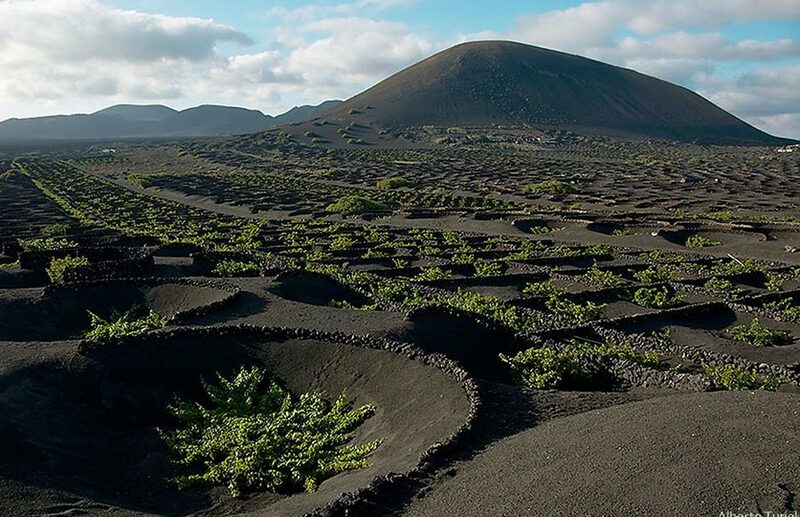 The Geria area is located in the center part of the island, is a young lava area used by the old islanders to grow grape trees and create wine. 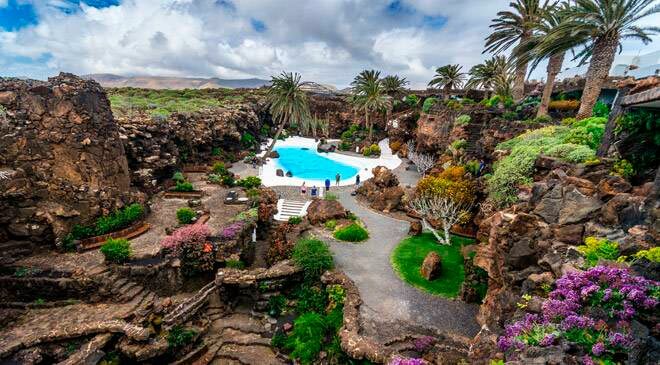 In the actuality the local people still using this area for the wine production in a traditional way, they grow the trees in a little volcanic cone covered with ashes from the volcanoes and little lava stone walls to protect the tree against the wind and the dry season temperatures. In the road there is a diversity of bodegas where you can taste their delicious wines. The island wine production is well known for the excellent white wines, a new production of a well earned red wines and powerful sweet ones.